The Italian tuning firm has turned its attention towards the Giulietta, the third Alfa Romeo on its books. This is the third Alfa Romeo the Italian tuning firm has churned out since Laurent Miller bought the brand name eight years ago. Last time round it was an Alfa 159, this time the firm has tackled a Giulietta. Like the Alfa 159, the 5-door hatch features a unique two-tone paint scheme. And, like the Alfa 159, it features a Lamborghini-sourced colored roof. Alfa dark grey has been used for the lower body and a &apos;White Ballon&apos; pearl white color adorns the majority of the upper sections of the car, as well as the wheels. 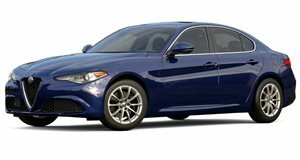 A modified version of Alfa&apos;s new 1750 TBi turbocharged four-cylinder gasoline engine powers the hatchback, which is capable of 266hp and 284lb-ft of torque. While the stock suspension gives way for a fully-adjustable KW suspension. In line with the two Alfa Romeo 159s that went before it, the Auto Avio Costruzioni Giulietta is a one-off. Pricing has been set at 49,900 FRS, which is a couple of grand north of $50,000.